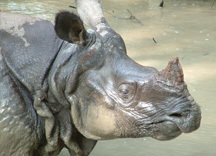 The Chitwan Nepal Jungle Safari package is for anyone who likes to explore the untouched trails and unspoiled beauty of the natural horizons of forests with its wildlife. All jungle activities such as elephant safari, traditional dug-out canoe ride, nature walk, and bird-watching, national park fees, all meals and accommodations. Note: The accommodations are in twin sharing basis. The elephant back jungle safari through the park to see the animals is a special attraction. A canoe ride on the Rapti river with crocodiles passing by is unmistakably the greatest jungle experience. Visits to the elephant breeding farm, Wild Life Tracing, Jungle/Nature Walk, Bird Watching, Jeep Safari, Camping, Cultural Programme. 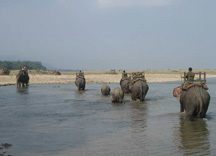 1 Transfer to Chitwan, arrive at lunchtime.